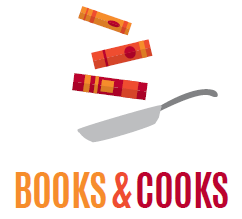 Camden County Library has introduced a Books and Cooks initiative, designed to promote food literacy, particularly in communities such as Camden considered ‘food deserts’ by the US Department of Agriculture. The library won a grant from the NJ Department of Labor and Workforce Development based on its proposal to develop and implement a food literacy program. A centerpiece of the program is a mobile kitchen complemented by a collection of books about nutrition, healthy eating and consumer literacy with iPads and a mobile hotspot available. The kitchen can be transported to any of the library’s eight branches and other locations to demonstrate cooking techniques and recipes, as needed. Classes and workshops are offered for audiences with a variety of needs including ESL, basic literacy, nutrition-conscious parents and those seeking to provide healthy meals on a limited budget. Photos from Books & Cooks Programs See more on Flickr.